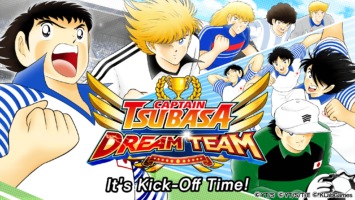 “Captain Tsubasa: Dream Team” Released Today Worldwide on iOS and Android! KLab Inc., a leader in online mobile games, announced that pre-registration for the global version of Captain Tsubasa: Dream Team officially kicked off on Monday, November 20 (UTC+9). This head-to-head football simulation game based on the world-famous Captain Tsubasa series is planned for global release in over 135 countries and regions around the world. In addition to the Japanese version released in June 2017, the global release will be localized into six languages—English, French, German, Italian, Spanish, and Traditional Chinese.